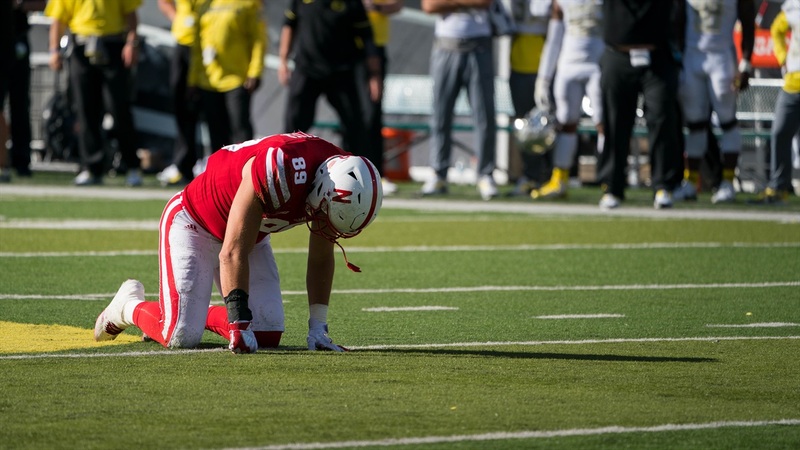 EUGENE, Ore. – Nebraska (1-1) lost 42-35 to Oregon (2-0) Saturday in a game that ended up being a lot closer than expected when it was all said and done. The Ducks dropped all 42 points on the Nebraska defense in the first half, but was blanked in the second half. Throughout the game, there was plenty of quality content on Twitter. Here’s some of the top tweets. In the first quarter, Nebraska tailback Tre Bryant almost had his head ripped off. We’ll mark this down as right place, right time. The Huskers’ Achilles heel in the first half proved to be third downs. Look away Nebraska fans. Would it really be a “top tweets” post without an appearance from Faux? Former Nebraska tailback Ameer Abdullah offered up one of the feel-good moments of the game with this tweet about the current Nebraska tailback, Bryant. Then Josh Mitchell, another former Cornhusker, doubled down. Then there was this late in the first half. I hadn’t heard about the “Trees for TDs” promotion, or know about the Columbia Gorge for that matter, but this felt like a solid burn. Forty-two points in one half will bring out that kind of thing. Nebraska had scored on back-to-back possessions to begin the second half. Then a drive stalled out early in the fourth quarter and the Huskers were forced to punt in a 42-28 game. Punter Caleb Lightbourn downed a ball inside the five and Oregon looked to take over. This tweet probably perfectly captured how Husker nation was feeling at the time. I’m not going to lie, this was just funny. After the game ended, cornerback Lamar Jackson took to Twitter with a message for the fans. Finally, this. A tweet that perfectly encapsulates a truly entertaining but unpredictable game. The Huskers will be back in action on Sep. 16 when they host Northern Illinois.